Energetic cities, gorgeous rural landscapes, world-class culture and history by the bucketload: Pennsylvania will leave you breathless. You can dip into 18th-century life at historic homesteads, trace the state’s industrial heritage in old mining villages and disused ironworks, and plant your feet on legendary battlefields. 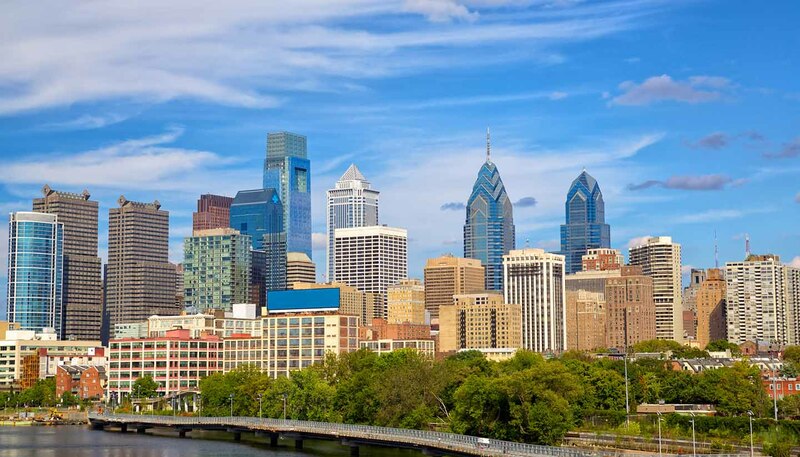 Philadelphia, its largest city, takes pride in its history. It was here that the country's Founding Fathers signed the Declaration of Independence, and for many visitors, the first port of call is Independence Hall and the Liberty Bell. Tick these off by all means, but do imbibe the city’s contemporary offerings; dive into the multi-ethnic culinary scene, sip craft ale at pop-up beer gardens, and pedal across the scenic Schuylkill Banks Boardwalk. If all this city action has you crying out for simpler times, look no further than the Amish community in Lancaster County, where horse-drawn buggies clatter along rural lanes, televisions and high fashion are a no-no, and life has barely changed for 300 years. The state’s western side has a different edge to it, lying on the cusp of the Midwest, with staunchly industrial roots. That said, Pittsburgh has dusted off its gritty image and emerged as a sophisticated arts and dining destination in its own right – well worth a visit. Culturally, Pennsylvania is up there with the best. Gaze at a world-renowned collection in the Philadelphia Museum of Art, the USA’s third biggest museum; saunter around Pittsburgh’s fabulous Carnegie Museum of Art; and bag tickets to a musical at Lancaster’s historic Fulton Theatre. Itching for outdoor action? Paddle the Susquehanna River or bike over 640km (400 miles) of scenic routes in the Allegheny Forest for lungfuls of invigorating Pennsylvania air. 119,283 sq km (46,055 sq miles).